Here's a Putting Mat you can actually stand on to practice! It promotes consistency of grip and posture. 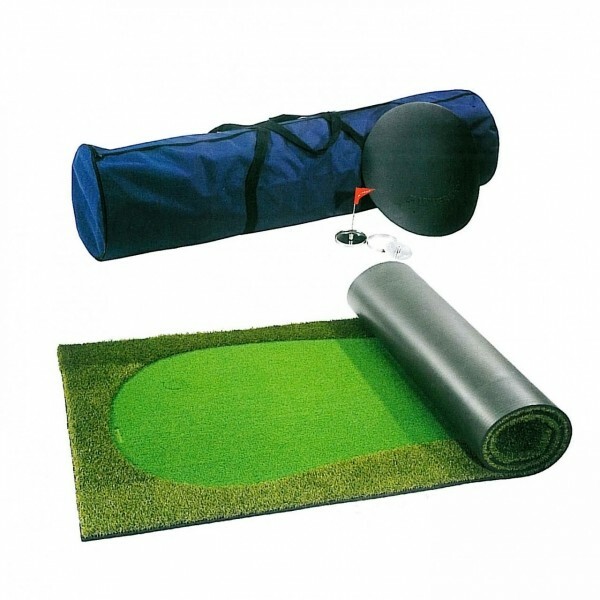 The most important part of your game can now be practiced year round with the Ultimate Portable Golf Putting Green﻿. 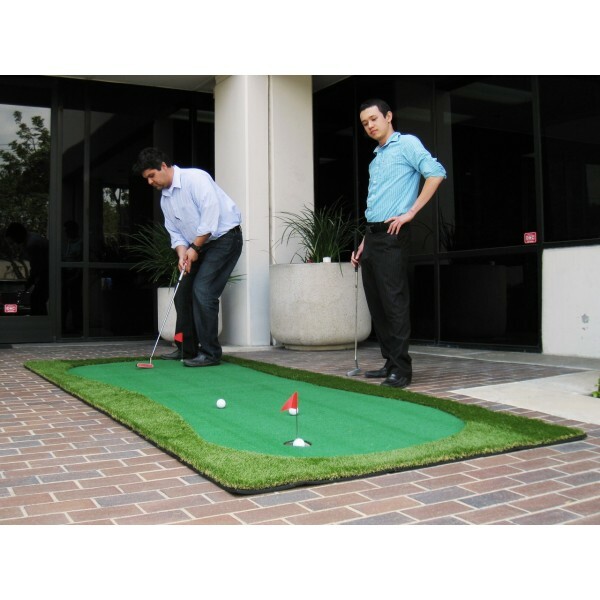 The Ultimate Portable Golf Putting Green﻿ is for golfers of every level. 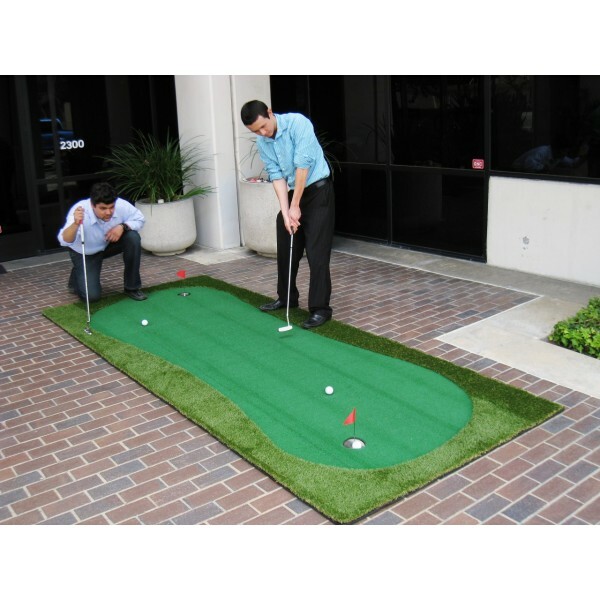 This is a professional quality putting greeen with two cups and pin flags. 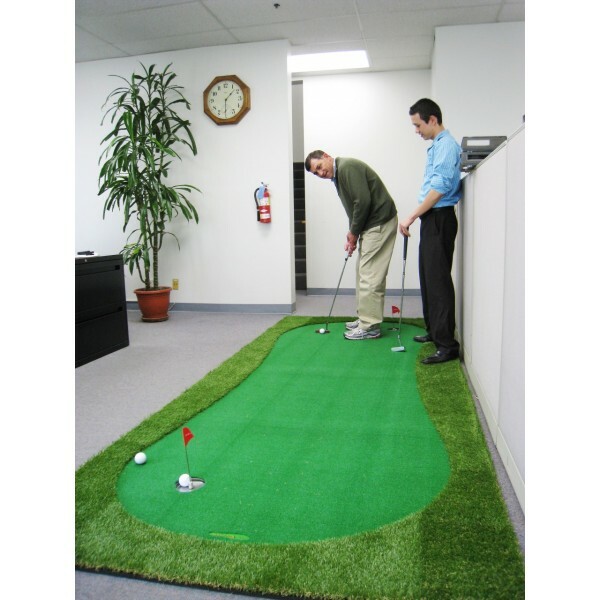 Chipping, long putts, solid feel, and the true roll of the ball -- almost everything you expect from a real putting green. Suitable for both outdoor and indoor use. Portable and easy to install; just unroll and play. Packed with a woven fabric bag. Very easy to carry. Anti-UV, Waterproof, Antibiosis, safe, durable and easy to clean and maintain. We try to show product colours as accurately as possible, but please be aware that there may be slight differences in colour between the online images and the actual products themselves. Golf balls not included﻿﻿﻿﻿.